Easter Island – Rapa Nui in the native tongue — is a minute volcanic island in the South Pacific with a history magnificent enough to captivate any imagination. It holds the designation as the most remote, continuously inhabited island in the world, and its most storied occupants are the Moai, great carved beings who are representations of the people’s forebears. Over homemade guava jam and biscuits at your guesthouse, your host guides will interpret the ancient as well as modern history of their island for you. 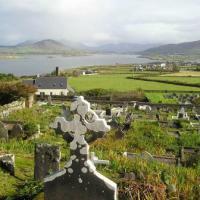 Then they will introduce you to a vaquero with horses, to explore the lava tubes and ruins of the remote northern coast – or you can choose to rent a bike and strike out on your own. Sunset is mellow, around the cove of sun-faded fishing boats and overseen by the stately moai, Ahu Tautira. And at day’s end, there are lantern-til taverns waiting for you, with batik-covered tables full of pisse (pronounced pee-see) straight from the sea and lemony-sharp Chilean ceviche. All that’s left is a night of wind-blown solitude on your speck in the Pacific. 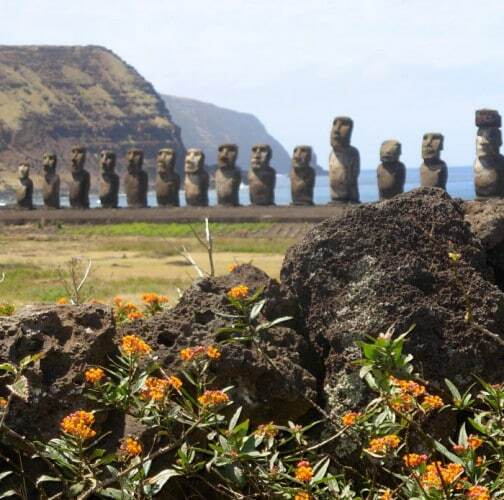 Contact Melanie to discuss your bucket-list journey to Easter Island in Chile! Easter Island is easy to access through Santiago Chile, a city that promises international jazz clubs, a challenging Pinochet history, side trips to Valparaiso’s coast or the Atacama’s desert, and – if you travel during the southern hemisphere’s winter – ski resorts, only 45 minutes outside of Santiago, just “above cactus line”.